2016 BMW M2 ***CLEAN CARFAX, 1-OWNER*** Turbocharged 3.0L 6-Cylinder (365HP) and 6-Speed Manual takes you from 0-60 MPH in only 4.4 Seconds! 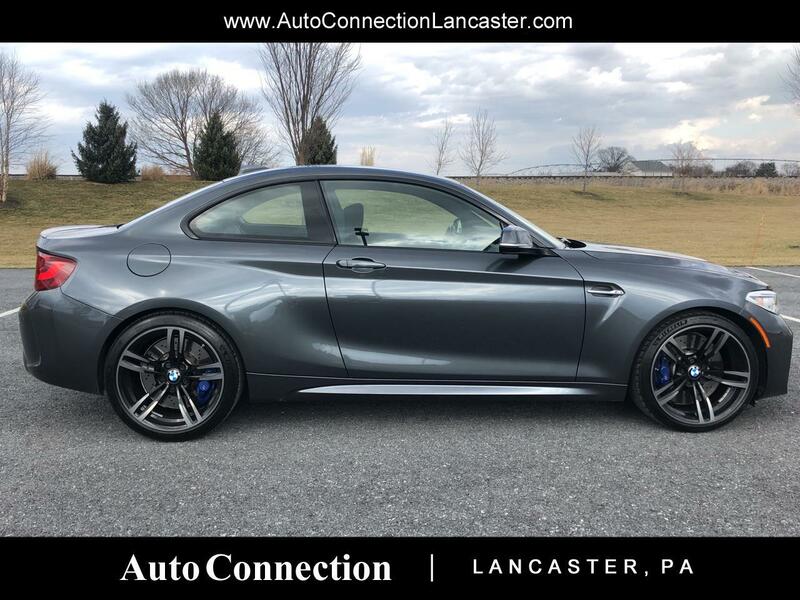 Finished in in Mineral Grey Metallic with Black Dakota Leather, this M2 has only 26k Miles and is still covered by the Bumper to Bumper BMW Warranty. It has 19" Alloy Wheels,4 Wheels Disc brakes. Also features Navigation, Heated Seats, Power Seats, and has the optional Executive Pkg including Collision Warning System, Lane Departure, Park Distance. HID Headlamps, Dual 14-Way Power Sport Seats, Harmon/Kardon Sound w/ AM/FM/CD/MP3/Satellite, Bluetooth, and so much More!